Laser spine surgery is an excellent choice for patients suffering from a variety of spinal conditions, and whether you are a candidate for this treatment is a decision best made after a full discussion with your surgeon. This form of minimally invasive surgery provides an alternative to regular surgical procedures when other treatment methods have not produced the desired results. Laser techniques offer faster recovery times with fewer complications for some conditions. Laser surgery uses light beams to create incisions (or cuts) instead of surgical instruments. For some patients with chronic pain conditions, where fusion is not the recommended treatment, laser surgery may be appropriate. In other cases where multiple incisions may be required or multiple vertebrae are affected, laser may not be the right choice for treatment. Regular spinal surgery involves incisions made by scalpels or other surgical tools. The muscle tissues must be moved away from the spine to access the problem areas. Laser surgery eliminates multiple large incisions and the need to manipulate or move surrounding tissue. What conditions may be treated with Laser Spine Surgery? Many conditions benefit from laser surgery including spinal stenosis, sciatica, chronic pain syndromes, and excessive scar tissue. In the he neck, laser surgery can be used to treat bulges or tears in the cervical discs, herniated discs and brachial neuritis. Laser surgery can also be used for artificial disc replacement. Replacing the disc, instead of fusing it can allow the segment to maintain flexibility. Fusion removes the motion, which can place more stress and wear on adjacent discs. Removal of growths or bone spurs and disc decompression by laser surgery can reduce the pressure on spinal areas and on the surrounding nerves and tissues. These laser techniques can be utilized along the spine, including the upper to mid-back (or thoracic region). In the lower back (or lumbar spine), laser surgery can benefit conditions including tears, bulges or hernias in discs as well as radiculitis and radiculopathy, which are pain syndromes from trapped and compressed nerves. Endoscopic Laser Discectomy is a type of laminectomy. This technique is useful in removing damaged disc materials in the lower back and neck. With endoscopic treatment, no muscle damage or bone loss occurs. X-ray imaging and video is used to guide a probe into disc areas. A small tube is inserted into the spinal column for imaging and surgery, thus eliminating the need to cut muscles and tissue. Portions of herniated discs can be removed and small bulges or tears can be repaired with laser treatments. The laser removes the materials and strengthens the disc to eliminate leaky materials that can aggravate surrounding nerves. Some procedures include a percutaneous cervical disc nucleoplasty used to relieve a herniated disc. In this procedure, a small tube is inserted into the damaged disc to allow a probe to dissolve excess material. Only a limited amount is removed, allowing the hernia to retract and the spine to remain stable while reducing the pressure inside the disc. Percutaneous laser discoplasty uses laser pulses to heat the herniated disc area and shrink the outer walls. This relieves the hernia and pressure on the disc, allowing it to return to its proper function. This laser procedure also uses a thin tube to direct the light to the area being treated. Facet ablation, or rhizotomy, is a technique that uses a laser to removes damaged nerves that are sending pain signals. Candidates for this type of procedure do need to go through a thorough evaluation process to determine if rhizotomy is the correct solution. What are some advantages to laser spine surgery? Laser surgery offers many benefits to the patient. This type of surgery is considered minimally invasive and is often performed as an outpatient procedure. Patients are normally able to leave the center and recuperate at home; reducing extensive and costly hospital stays. 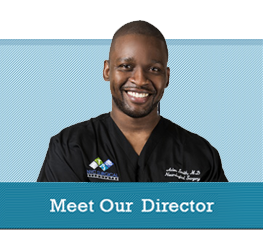 Laser procedures preserve spine mobility as no screws or rods are placed in the spinal column. There is little, if any, blood loss associated with these procedures, eliminating any worry for the need of transfusions. Incisions are small, reducing any potential scarring. Laser spine surgery is often completed with local anesthetics or light general anesthesia. This allows for faster recovery and reduces many of the risks associated with anesthesia. The need for stronger pain medications following surgery is also reduced. However, these are very modern, cutting edge techiques requiring advanced training and a skilled surgeon to perform. To learn more about laser spine surgery or to discuss other options, contact our Neurosurgery and Spine team at NYC Surgical Associates, where we are happy to discuss this and any other options that may pertain to your care. You may contact us at 888-286-6600 or by submitting our online contact form.